The spinal cord is one of the most important organs in the human body, but paradoxically, it is also one of the most fragile. There are many ways that a spinal injury can occur in day-to-day life, and if it happens to you, the effects can be devastating. 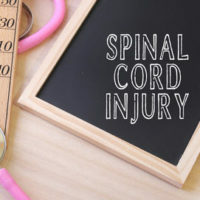 Recovering compensation for a spinal cord injury is vital in a lot of cases, because the potential for spinal injuries to render someone totally disabled is high, and your family may need every penny to make sure medical bills are paid. Even though the spinal cord is protected by vertebrae, it is sadly quite easy to injure. Statistics from the National Spinal Cord Injury Statistical Center (NSCISC) show that the annual number of new spinal cord injuries is roughly 17,700 each year, with the most common causes being vehicle crashes and falls, especially among the elderly. However, many other causes can be found, including violence (particularly blunt force trauma), sports-related injuries, and medical malpractice or error. The potential outcomes for a spinal cord injury are just as varied as their possible causes, with nearly half of the cases studied resulting in incomplete tetraplegia (partial paralysis of all four limbs). Incomplete and complete paraplegia were the result of a combined 41 percent of cases, with only around 1 percent of spinal cord patients managing to make a full neurological recovery upon release from medical treatment. This variance is why it is strongly suggested that those with spinal injuries seek medical treatment as fast as possible; in some cases early treatment may improve outlook. Trying to receive compensation for a spinal injury can be difficult, but it is not impossible. Insurance will very often not cover all the bills, however, nor will it provide compensation for intangible harms like loss of quality of life, pain and suffering, and mental anguish. Normally, Florida’s no-fault system precludes lawsuits against negligent drivers, but there is an exception which holds that if someone is severely injured, with “significant and permanent loss” of an important bodily function, or sustains “permanent injury within a reasonable degree of medical probability,” they are permitted to sue the driver whose negligence allegedly caused those severe injuries. If you are permitted to bring suit against the driver who hit you, you would likely do so under the legal theory of negligence. In a negligence case, you must show that the defendant owed a duty to exercise reasonable care toward you, the plaintiff (generally, this is assumed in auto accident cases, as every motorist owes a duty of reasonable care toward the other motorists on the road). You must also show that the defendant breached that duty of care, and that their conduct that caused the breach was the direct cause of your harm, without any other cause intervening. If you can establish these criteria, you have a chance of success at trial. Can A Spinal Cord Injury Lawyer Help You? After a spinal injury, you and your family should be focused on getting life back to normal, or as close as can be. Enlisting an attorney well versed in the law surrounding spinal cord injuries can be an enormous help, as it means you do not have to shoulder the burden alone. The Tampa spinal cord injury lawyers at Rinaldo Law Group will handle your case with understanding and compassion. Contact our offices today for a free consultation.